Truffaut’s writing, as characterized by his first text at Cahiers, Les extrême me touchent (N.21, March 1953), a review of David Miller’s Sudden Fear, is one of a restless energy and subjective response. 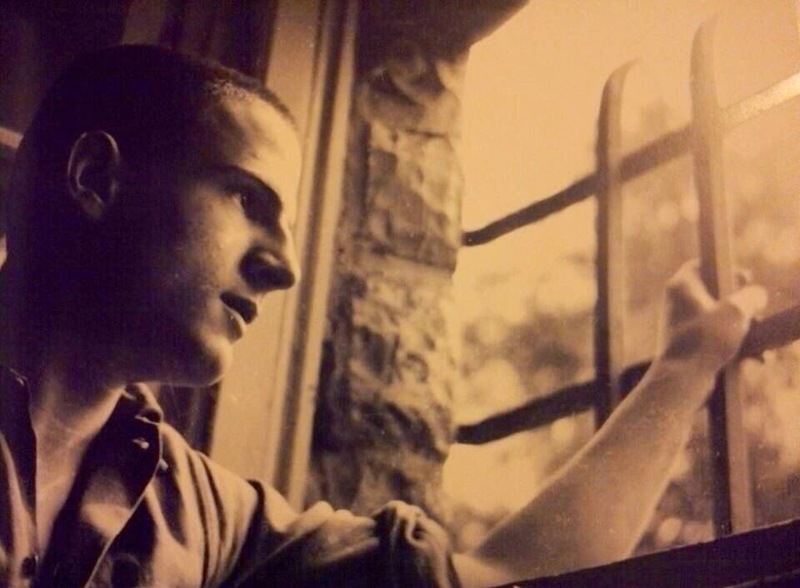 In this first text, Truffaut lays out the arguments that he would bring to the magazine: a defense of American films over French ones, a preference for small B films over pretentious serious ones, compassion for outsiders, and a love of actresses. 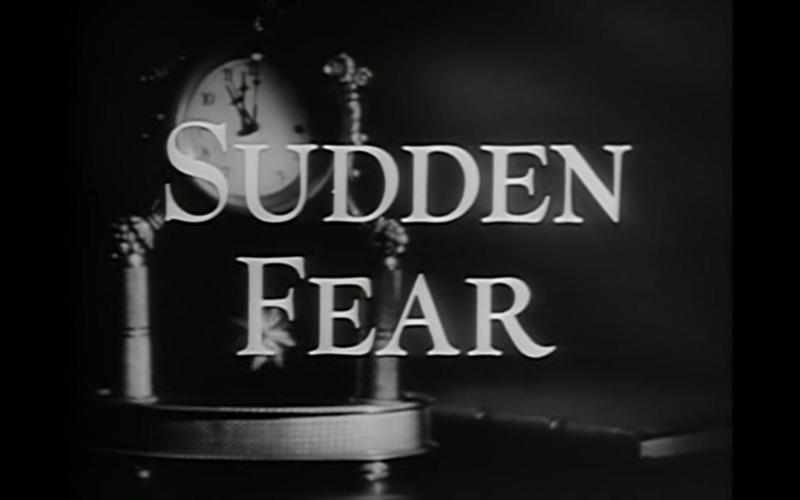 It is also worth noting that Joan Crawford plays a key role in Sudden Fear and in Truffaut’s review of it just like she does in one of Steven Spielberg’s early television works Eyes from Rod Serling’s Night Gallery. Coincidence? – D.D. Sometimes they make films in the streets of Paris. A few extras [are there], more gapers, but no stars. Concerned that you are not mistaken for one of the Béotians [people from the rue de la Béotie] who are hoping for the arrival of Suzy Carrier or Philippe Lemaire, you spot an assistant. You explain to him that you are not who he thinks you are. You directed a public debate at the Ciné-Club de Chamalières in Puy-de-Dôme on pure cinema before at least eighty people, and there is nothing you don’t know about the theme of failure in John Huston or about the misogyny of American cinema. If Aurenche and Bost were adapting Le Voyage au bout de la nuit (Journey to the End of the Night), they would cut sentences, even words: what would remain? A few thousand suspension points; that is rare angles, unusual lighting, cleverly centered. The notion of a shot in France has become concern for clothing, which means following fashion. Everything happens to the right and to the left, off the screen. This preamble, in order to introduce a film is completely different. An American film. David Miller is the director of Sudden Fear. He made La Pêche au trésor [Love Happy (1950)] and Celle de nulle part [Our Very Own (1950)]. Before that he assisted in [the World War II Allied propaganda series] Why We Fight. While respectable, nothing in his recent career led us to suspect that David Miller would give us the most brilliant “Hitchcock style” known in France. Outside of two very short but fairly unpleasing sequences (a dream and a planning sequence in pictures), there is not a hot in this film that isn’t necessary to its dramatic progression. Not a shot, either, that isn’t fascinating and doesn’t make us think it is a masterpiece of filmmaking. If the audience laughs when it isn’t suitable to do so, I take that as a sign of daring, of finish. The public has lost the habit of intensity. Twenty years of adaptations that are guilty of excessive timidity have gotten the public accustomed to golden insignificance. Filming Balzac has become impossible. Put into pictures, Grandet’s deathbed agony reaching for the crucifix would cause gales of laughter in the same people who swoon with admiration when a legless cripple hurtles down a street at fifty kilometers an hour. The “in” public, the public of the Ciné-Clubs, is hardly any different. Althoug they may allow Ladies of the Boies de Boulogne  (no doubt because of Diderot and Cocteau), they are ready to burst out laughing at all of Abel Gance’s films. What Ciné-Club has shown Nicholas Ray’s They Live by Night  or Robert Wise’s Born to Kill  – the most “Bressonian” of the American films? As for the films, films of psychological anguish, laughter is a form of revenge of the spectator on the auteur of the story, which he is ashamed to have believed in. Yes, twenty years of fake great subjects, twenty years of Adorable Creatures, Return to Life, Don Camillo, and others like Minute of Truth have created this blasé public, whose sensibilities and judgment alike are alienated by the base and despicable “fear of being duped,” denounced by Radiguet. No doubt it is this attitude of the public that has made Hitchcock pretend not to believe in the subjects he is dealing with by introducing into his films that element of humor –English, so they say – that is useless in my opinion, and Hitchcock’s detractors claim is the “tithe” through which the auteur of Strangers on a Train  will be able to claim a right to purgatory of bad filmmakers of good will. A weekly paper that no one is obliged to take seriously affirms that Joan Crawford herself financed Sudden Fear with half of her personal fortune: half a million dollars. No Matter. The casting: it is permissible to have forgotten Crossfire [1947; Dir. Edward Dmytryk], but not a young blond woman who was better than an intelligent extra: as a prostitute, she danced in a courtyard. Even professional critics noticed the dancer; it was Gloria Grahame, whome we saw again in L’as du cinéma [Merton of the Movies (1947); Dir. Robert Alton] playing opposite Red Skelton. Then Gloria Grahame became Mrs. Nicholas Ray and made In a Lonely Place , with Humphrey Bogart as costar, under the direction of Nicholas Ray himself. Gloria is no longer Mrs. Ray, as far as we know, and is filming in Germany under the direction of Kazan. We will see her again even sooner in Cecil B. DeMille’s Greatest Show on Earth . It seems that of all the American stars Gloria Grahame is the only one who is also a person. She keeps from one film to the next certain physical tics that are so many acting inventions and that can only be vainly expected from French actresses. Let’s be serious (we are required to, since a production hangs in the cinematographic balance); Edwige Feuillère, Madeleine Robinson, Danielle Delorme, Michèle Morgan, and Dany Robin opposite the [production] that proposes among a hundred others Lauren Bacall, Joan Bennett, Susan Hayward, Jennifer Jones, and Gloria Grahame? It took all the genius of Renoir, Bresson, Leenhardt, and Cocteau to make Mila Parely, Maria Casarès, Renée Devillers, and Edwige Feuillère appear to have any genius. From one film to the next, on the other hand, Gene Tierney, Joan Bennett, and Susan Hayward equal on the other hand, Gene Tierney, Joan Bennet, and Susan Hayward equal themselves. That and the bill for American cinema, often perfect right down to “Series Z” films, upset by hierarchy that could not be the same in our country where the only things that count are ambitious screenplays and the producer’s quote. 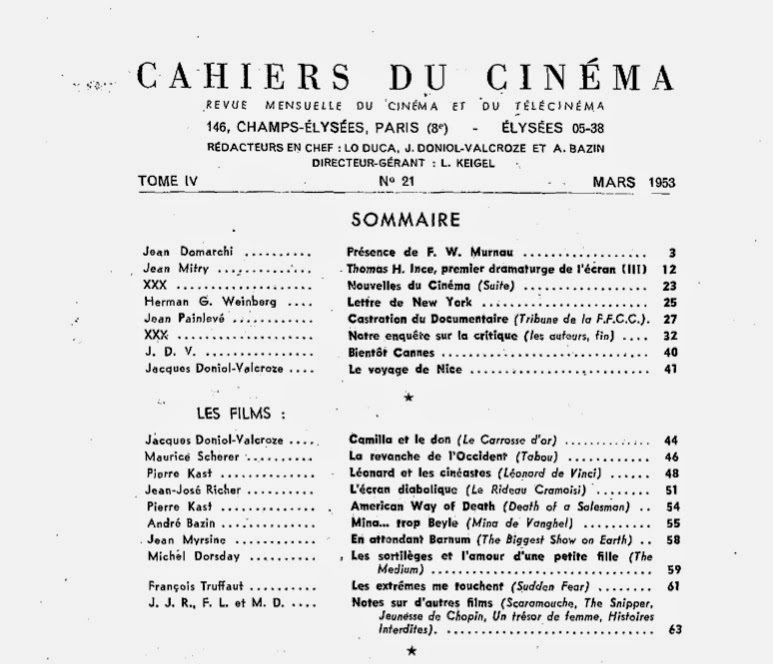 In reality, there are no directors of actors in France, except those four names whose praises can never be sung enough: Renoir, Bresson, Leenhardt, and Cocteau. Gloria Grahame’s acting is all in correspondences between cheeks and looks. You can’t analyze it, but you can observe it. Let us make ours the definition by Jean-Georges Auriol: “cinema is the art of doing pretty things to pretty women,” and let us wager that as he wrote that, he was thinking more of Jean Harlow than of Lisette Lanvin. Jack Palance has been known to us since a good film of Elia Kazan’s Panic in the Streets . His character here is that of a young man with unusually fine physical qualities and who, by his exceptional charm, acquires the favors of women whose experience with men has made them less demanding and, at the same time, more so. Each follows his own path. The one that Jack Palance and Gloria Grahame have chosen will lead them to death. "On a personal level, I really like the current team at Cahiers but I don't understand their editorial line. I don't want to simplify and say that the films they like are bad ones and that the ones Positif like are the good ones, but I really don't get their why they choose and reject certain ones. And by the way, on the subject of formal mastery, Positif stance for it is in opposition to a certain held belief that it is bad, which is shared by Le Monde, Inrocks, Libération and Cahiers. Mastery is currently viewed to be negative. While for me, mastery, is the basis of occidental art, which goes back to the antiquity, and I don't see why this would stop today." I need to thank Moen Mohamed again for contributing this great festival report. - D.D. Have you ever been to a soirée and within minutes you knew you would want to stay for a long time? That's how I felt after just a few hours about The Days of Silent Cinema (Le Giornate del Cinema Muto) in Pordenone. The cultural, artistic and historic significance of this unique festival has become apparent in the world of cinema. Though similar in theme to Il Cinema Ritrovato in Bologna, it is quite different. One is reminded that there is a treasure chest of silent films that rarely gets to be opened. There is hardly a platform anywhere that showcases these films with the length and breadth of the programming as in Pordenone. Without having any knowledge of the town or doing any research, I was expecting Pordenone to be small and quaint, which is why its modernity took me quite by surprise. With its fashion shops, chic restaurants and cafés, it clearly wasn't what I expected. But like many places in Italy, the people in Pordenone are courteous and warm to visitors, particularly those in attendance to the Giornate, as it is called by the festival regulars and organizers. Upon arrival, the staff at the guest office greeted me with such smiles and warmth as if I had been attending for years. Highly organized and well-run, the festival's screenings are centralized in one location in the middle of the town's main square. A superb venue indeed is the Teatro Verdi, with its large auditorium plus three balconies. The soft red velvet seats are fashionably suited to the hardwood floors that run throughout the entire building. Not to mention the very large screen that works beautifully for all variations of the 1.33 aspect ratio. No complaints about that screen, it is perfect. Upon arrival, I was presented with my accreditation which costs a paltry 65 Euros, plus the programme book and a warm welcoming letter from the president and director of the festival. In addition to the letter, there was supplementary information of every kind that one may need: supermarket, post-office, pharmacy, emergency etc. The welcoming letter ends with a most original and amusing wish: "We want to see you tired, but happy." There is a welcome and a farewell cocktail party for all pass holders. Every film is subtitled in English. What can you say about a festival that flashes a sign on the screen just as the film is about to start that says, "Did you turn off your mobile phone?" Being a festival of days past and nostalgia, the first dedication upon the screen for my first evening screening was to Peter von Bagh, the artistic director of Il Cinema Ritrovato, Bologna, who recently passed away. This 33rd edition of the festival was dedicated to him. Peter's demise has left a vacuum in the world of the studies on classic cinema. He will always be remembered and missed. The thunderous applause that greeted this nightly dedication on the screen was so heartfelt and sincere, that I am reminded each day of Bologna's brilliant programming and Peter von Bagh's tradition of excellence. Like Bologna, the Pordenone audience comprise of archivists, professors, academics, curators and programmers. It seems everyone either works or studies within the realm of silent/classic cinema. A Cinema Studies professor from Wisconsin sitting next to me for a film was surprised when I told her I was on vacation and wasn't "working in attendance" at the festival. She was even more surprised when she found out what my job was. Snippets of conversation overheard during the festival contain words like, "nitrate print", "inter-negative", "lost print", "Eastman House", "recently rediscovered". Announced at this year's festival by a representative from the George Eastman house, is a new film festival to be unveiled in May 2015 called The Nitrate Picture Show. That will be a trip worth taking to Rochester, New York. The films may be the central attraction, but without a doubt, the star of the festival is the music. These stars are world-renowned musicians who are invited each year to treat the audience to their talent. Films are not just accompanied with piano solos, but artists playing a variety of instruments are engaged during a single screening for maximum musical serenade. One of the traditions of the festival is working with Pordenone school children who are still in training as they hone their musical skills. A rapturous evening it was when about 40 children played a full orchestra and then some, to a series of Chaplin short films. Another very special event was a live performance of a Japanese Benshi artist who narrated Hot-Tempered Yasubei (1928), with such vigour and skill, not to mention perfect comedic timing. It was unlike anything I have ever experienced in terms of unique screenings. Due to time restraints, I was not able to read anything on any of the films, so I saw all of them blindly. Pan is the first and only film directed by Harald Schwenzen. It tells the story of a man who lives almost hermetically in the woods, but not far from the town. He desperately wants to fall in love even if it means fitting in with societal masquerades. Unfortunately, he falls for the charms of a woman who plays with him and toys with his emotions. At times, it becomes almost unbearable to watch. She insults him and he stays away. She goes back to him and declares her love then plays the same game over and over. But is it really a game? There is one moment of deadpan comedy where she drives him to jealousy on a boat. He throws one of her shoes into the river. Later he recovers it and gives it to her saying, "I am sorry I threw your shoe into the river." She dryly responds, "Yes, that was a weird thing to do," and promptly walks away. The last third of the film takes a very different turn and is evocative of Miguel Gomes' Tabu. It is narrated by a friend of the man, who has since left the woman, his home and country. He and a friend have travelled to Algeria where a different story plays out between the two friends that is evocative of the man's previous history coming back to haunt his current environment. Pan was appropriately and perfectly programmed in the Rediscoveries section. Nature in all its Norwegian glory is perfectly blended with the narrative as it highlights the sea, mountains, lakes, forests in all their panoramic beauty. Three Scottish soldiers, almost dying from starvation but drunk from over-imbibing, embark on a night of mayhem and murder, killing a lord, Sir Arne and his entire family on a small Swedish island. Their intent was to steal the much rumoured treasure of money that Sir Arne may have hoarded and accumulated by questionable means. All in the household are killed except one daughter who is consumed with guilt of having survived the ordeal. The killers all but vanish into the Swedish winter and this chilling landscape consumes each frame and every second of the film with an ice-cold grip. God's hand and his retribution for evil-doers are very much in the mind of the director. The winter has frozen every route out from the island, thus trapping everyone. The murderers, if still alive, would also be trapped. Guilt and vengeance play out like the best of Shakespeare's tragedies. Pabst creates a tense work of art that is all at once a thriller, melodrama, adventure, political drama and romance - all done in deep shades of noir with areas of grey. Jeanne escapes Crimea where the Reds and the Whites continue to fight. After her father is killed by the Bolsheviks, she leaves for Paris to live with her miserly uncle and his blind daughter. Her lover also comes in search of her from Crimea. She is reunited with him, but soon their happiness is threatened by a swindler who knew Jeanne and her father in Crimea and is now in Paris, courting the blind daughter of Jeanne's uncle. Sounds complicated, and so it is, but also purely Hitchcockian. Along with her mesmerizing performance in Metropolis, Brigitte Helm steals every scene as the blind girl. There is something so purely cinematic about her face even as she is just staring blankly into space, you know she is not. One of the most memorable sequence features the miserly uncle who is awaiting a large payment for one a stolen diamond. He practises as if he is receiving the money (thin air), placing it on his desk, licking his fingers, counting each bundle and placing each imaginary bundle in his safe, which is his only love. He does this with eyes bulging, perspiration dripping and tongue hanging. It is a frightening and superbly edited sequence. Never before has the holy church or religion been skewered with such precision and cynicism. Well, at least not back in 1930. Yakov Protazanov's incendiary film attacks organized religion with such a rapacious yet delicate touch, even religious cinephiles will forgive it for what they may deem as "blasphemously insulting". How this was made and released 84 years ago is in itself be a miracle! It opens with a gentle-faced, long-haired shepherd with a graceful face. He is being crucified when an angel appears and he helps him during the ascension. Suddenly the film and projection stops and we realise we are watching the rushes of a film based on the life of Saint Yorgen (whose life is not different from that of Jesus Christ). A group of priests are previewing the film which they have financed. There is the scene when Yorgen walks on water before a group of fishermen. The plank on which he walks is quite visible. Yorgen walks but starts gesturing wildly at a group of vacationers whose boat has gotten into the frame. At the end of the screening, the priests tell the director, "Less psychology and more miracles!" At a breakneck pace, we encounter the business of religion with church-manufactured items for sale, in particular Yorgen's tears and his hair. We see the counting of donations and the handing over of the cash to the banks that sponsor the annual Yorgen event, which features a beauty pageant with a holy touch as the annual Bride of Yorgen is chosen. The winner of this pageant and her family wins 100,000 gold rubles. Needless to say, the bishop's daughter wins. In the midst of this confusion, two criminals are surveying the profitable business of the church, and one of them remarks, "This is how you make money without knowing how to pick a lock!" I was completely unprepared for this 5-hour masterwork by the great Fritz Lang. What begins as a pulsating, mythical adventure soon becomes darkly tragic with overtones of Macbeth (well, Lady Macbeth to be precise) and other Shakespearean tragedies. Siegfried is granted immortality when he slays a dragon, but is vulnerable in one part of his body. After winning the deadly queen Brunhild for the king, his death is desired by the queen. Trust leads to treachery, which leads to murder and this leads to vengeance. Thus, an all-out war ensues within a family. Meticulously designed and expertly directly by Lang, it is easy to see how influential these early films of his are. The burning of the castle in Kurosawa's Ran seems to be an exact replica of the one done by Lang 60 years earlier in this film. Even the shape of the castle looks the same. The beautiful 35mm print was rich and sumptuous. An absolutely delightful social satire. Pelageya is an old woman from the countryside, illiterate and simple. She farms her land with her husband. One day, she crosses the railroad, is accosted and brought before the courts by the priggish and self-important stationmaster, nicknamed Don Diego. As she doesn't know how to read, Pelageya did not understand the warning sign. She is sentenced to 3 months imprisonment. The films of Yakov Protazanov are truly a discovery. He knows how to create comical situations within a serious social context. To Pelageya's aid come her neighbours and the local Komsomol. They endure the quagmire that is Russian bureaucracy with all its injustices and irritations. John Barrymore gives one of his most accomplished and heartbreaking performances as the infamous London dandy who became friends with Prince of Wales, who uses Brummel well to his advantage. The Prince, who later becomes King George, employs Brummel to act as the bait to build his personal gathering of the hip and socially ubiquitous. Familiarity breeds contempt, so they say. Kings are supposed to be respected and obeyed, but Brummel does not acquiesce. His punishment is exile to France, without a penny. How extraordinarily rich and powerful this film is. It lightly begins as a royal romp replete with an obese and odious Prince and an arrogant Brummel, and quickly descends into a tug-o-war of shame, deceit, pride and the annihilation of a being. Loneliness kills ever so slowly. As with anyone who has ever experienced abject loneliness, the same it is with Brummel, as it eats away at his very existence. The Alsatian winter setting provides the backdrop for a tale of murder and a guilty conscience. A deeply indebted but good man is tested when presented with an opportunity to steal gold coins from a travelling merchant, who is introduced as a Polish Jew. After the deed is done, the man is plagued by ghostly apparitions of the dead man as he shakes the bells of his horse, which was his last act before he died. The bells signify a reckoning, a countdown, a celestial reminder of the heinous act that went without punishment. They jingle ominously throughout the film. The musician performing at the film brought similar bells which he rang simultaneously with the ringing in the film. The effect was chilling. Hilariously over-the-top with his facial expressions is Boris Karloff as the local mesmerist who is willing to make the murderer confess, if he gets the chance. Lionel Barrymore's composed yet guilt-induced performance is one of his very best. I have no idea what critics think about this film or how it was compared to the wildly successful William Wyler's version. Needless to say, I am sure the Wyler's version is more appreciated and beloved for obvious reasons. For me, this was a film way before its time, superbly made by a director I don't know anything about. Much can be said about the scale of the film, the massive sets, the expert editing. But it is a shame that the Wyler chariot race gets all the credit when the 11-minute heart-stopping chariot race in this silent version is just as thrilling and reckless, perhaps even more so, considering the lack of technology and any special cameras that preceded the 1959 version by 34 years. Ramon Novarro is splendid as the Jewish Prince. He is in almost every frame of the film. It is mainly because of his compelling performance, Ben-Hur is not lost amidst the splendour of a big-budget extravaganza. Novarro provides the much-needed heart and soul in this film, a typical substance that is usually lacking in such fare. Scenes of the Christ were done without showing an actor playing Christ - just a silhouette or a light is shown or an illuminated hand. This was done with grace and respect that it added to the serenity of these scenes which we have seen countless times in other films. I haven't seen any other versions of Robert Louis Stevenson's classic tale, but this silent version should certainly be among the best. John Barrymore is riveting as the good doctor who is challenged by his colleague to question the notion of a full life. If one only does good deeds and experiences only the decent things in life, then how can one claim to have a complete life's experience? This sets the plot in motion and leads to the doctor's twisted transformation into his sadistic and brutal alter-ego. With just simple make-up and body contortions, John Barrymore creates the good and evil facets of man's duality. It is a shame this early silent version is not nearly as well-known as the others. Another wonderful film by Yakov Protazanov based on short stories by Chekhov. It chronicles how we behave within societal class structures and the human cost. A girl of lower class is married to a much older but wealthy man. She promises to help her poor father and brothers but her husband is stingy and treats her like a servant. One day, he is invited to a ball hosted by very rich and important officials. His wife accompanies him but makes a splash with her beauty. Within a short time, all the men at the party are at her feet. The tables have turned and with a renewed self-esteem, she now controls her house. But will she help her family or even remember them? The other story is a unique delight. An ordinary man sneezes with the utmost liquidity at the back of the head of a high-ranking and powerful official at a performance of the Russian Ballet. He is overcome with fear and guilt. He apologizes but is ignored. He tries again but is told to go away as the official doesn't care about man's apology. The man is utterly torn apart and is consumed by his need to be forgiven, but most importantly, to be acknowledged that his apology is sincere. Things go from worse to catastrophic when the man shows up at the official's workplace the next day, intent on having his apology acknowledged. Lionel Barrymore plays yet another anti-hero, in fact, this time he is downright rotten. He plays a master forger whose employer uses Barrymore's forgery skills to his advantage in business. When an act of a forged cheque places him in the hands of the underbelly of Wall Street miscreants, he is bound for twenty years to forging his way through life and eventually to a massive fortune. He has no regrets as his life is one of luxury and pleasure. But it is always in the matters of the heart that one stumbles. He forges his way into the life of a young woman by imitating her handwriting and her fiancé's, writing break-up letters to both from the other. He marries her and settles down. But the past, even when written in someone else's handwriting, always comes back to haunt. Well, a Douglas Fairbanks picture has finally won me over. I was cheering along with the packed audience even before the film ended. This early Technicolor extravaganza from 1926 is a lean, no-nonsense adventure on the seas without any clichés or silliness that one would find in films of this genre. A merchant ship is attacked and the crew plus a princess are taken hostage for ransom. What proceeds thereafter is a tense and exciting cat and mouse game played by the gallant pirate (who is really a Duke) and some malefactors on board, ready for some malfeasance. And these men are really impatient as to who will get to sample the princess. Truffaut contemporain : I, II.